The governor of North Carolina is very serious about his pets -- they even have their own Facebook page. The page "First Pets of North Carolina" shows the fascinating lives of Roy Cooper's two dogs, two cats and praying mantis. It includes detailed biographies of the pets -- including the reason why they keep an insect as a pet. Winnifred "Fred" Cooper technically belongs to Cooper's daughter Natalie, an insect enthusiast. "Despite not being warm and fuzzy, Fred is treated like a princess who is fed the highest quality flies and only snacks on raw, local North Carolina honey," the Facebook page says. "When she stays at the main household, her palace (enclosure) hangs from the ceiling to keep her out of the claws of the Cooper cats." 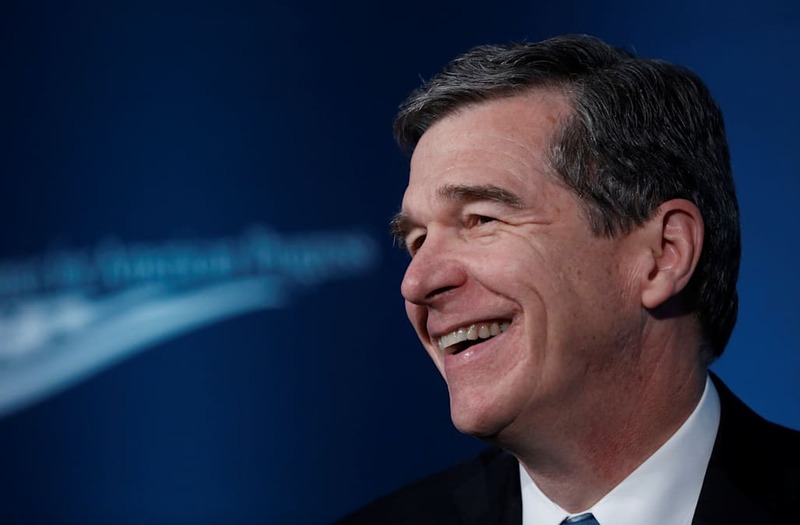 When the News and Observer asked Cooper spokesperson Ford Porter about the odd pet, he said "as the governor said, this is a North Carolina for all. And the Cooper family cares for creatures great and small." Maybe one day Fred will get to meet Marlon Bundo.